Unam Sanctam Catholicam: Is Gandhi in Hell? I've seen that icon on Robet Ellsbergs book "All Saints", a book in which he canonizes Ghandi, Martin Luther King Junior and a handful of those involved in the modernist heresy of the early 20th century. 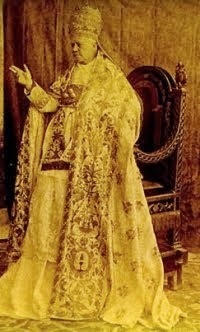 Once I heard an FSSP priest say that somewhere in he writings of Blessed Pius IX (quanta conficiamur or the Syllabus of Errors) one of the condemned propositions was that "we can have a reasonable hope of the salvation of non Catholics" meaning baptism of desire is probably something very rare and something that we better not bank on for those outside the Church, including Ghandi. Very good on the whole. I have just one quibble. I'm not convinced that Lumen gentium requires us to admit that some men can be saved without at least faith in Christ. 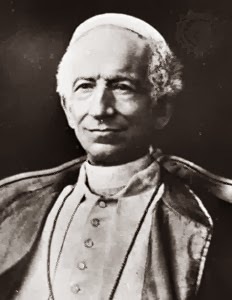 "Those who are unbaptized, though not actually in the Church, are in the Church potentially. And this potentiality is rooted in two things--first and principally, in the power of Christ, which is sufficient for the salvation of the whole human race; secondly, in free-will." So, I am thinking that one might reasonably hold that the statement to the effect that a non-Christian 'can' be saved might simply equate to the statement that such a one 'can' become a Christian. It is not impossible. 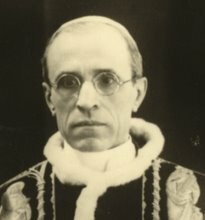 "The holy Roman Church... firmly believes, professes and preaches that all those who are outside the catholic church, not only pagans but also Jews or heretics and schismatics, cannot share in eternal life and will go into the everlasting fire which was prepared for the devil and his angels, unless they are joined to the catholic church before the end of their lives..."
Thanks for the comments, Pete, and blessed Confirmation! Thank you for opening our eyes. I never thought of it before. You are quite thoughtful in your presentations. I'm blessed to start following your blog. God bless you always. There is a story from the early centuries of the Church in England relating to the death of an unbaptised person who was a friend of St Erconwald, a bishop of London. Apparently the friend lived a good life and the Saint was very distressed on his dying unbaptised and wept bitterly. It seems that in a dream his deceased friend appeared to him in great joy. 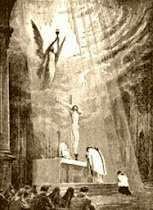 To allay further worries concerning his soul, the friend told the Saint that his tears had been sufficient for a baptism. 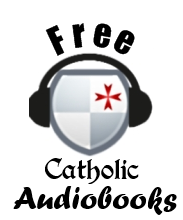 The issue of whether or not a person is saved is a very complicated one, and I am glad the Catholic Church leaves the question of salvation to God. We can never know a person's heart or mind, not to mention how that person's heart and mind have been shaped by the life they have experienced. I would not call myself a universalist, but I definitely pray and hope for the salvation of all my brothers and sisters. May they all accept God's love. I pray there is no one in hell... but what about gods justice? people go to hell...! it is up to the church to stop people going to perdition by preaching repentance to those not in the faith! A most helpful essay. Thank you. Saying that someone is "invincibly ignorant" of Christianity does not mean that they do not know of the existence of Christ or about the fact that some people say he was God. It means that on the evidence available to them they could not reasonably believe these things to be true. For example, a Muslim in an Islamic country may know about these claims, but have no evidence which would convince them, and no particular reason to undertake an investigation, just as you yourself are unlikely to investigate the claim of Mohammed to be the prophet of Allah. So a random Muslim in an Islamic country is quite likely to be invincibly ignorant of Christianity, despite knowing about its claims. In fact, you seem to be saying that as soon as someone hears the idea that there is a man who claimed to be God, he should instantly assume it is true, and that to do otherwise is "insulting" to Christ. This does not seem very reasonable. That's not how it has traditionally been viewed. For example, when St. Isaac Jogues came to preach to the Huron, he did not consider them invincibly ignorant simply because he had showed up an announced Jesus Christ. He believed Indians who died without accepting Christ went to Hell. The mere fact that he showed up an made the announcement sufficed to dispel their ignorance. This is in his writings. All other Catholic missionaries have assumed the same historically. Peter's mere announcement to the Jews on Pentecost that Christ was Lord laid an obligation on them to investigate the truth, as he says they all must repent or perish. 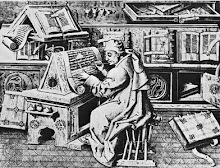 The mere proclamation of the truth dispels ignorance, as far as I can tell. Even if that was too strict, there is no way to consider that Gandhi, who lived among British Christians for decades - could possibly be considered invincibly ignorant. Thank you for trolling my old posts, Konstantin! Lol. As a matter of fact I have had just such a post on schismatic martyrs planned for a long time. "even if he has shed blood for the name of Christ"
So was that article authored by yourself? My article is on my German missions blog so I guess it won't be much of a help. I don't know who penned the article on The Josias. So what then of the man who before this was a pagan, yet when interrogated by ISIS and his life threatened, replied, "Their (i.e. the Copts) God is my God?" Should we or should we not canonize those who scarcely even heard the Name Jesus Christ, yet when pressed, choose to die for Him even on the testimony of heretics or schismatics? 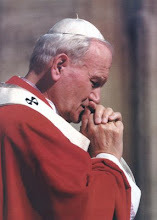 "According to the manner in which the doctrine of invincible ignorance is popularly (and errantly) understood in the Catholic Church, those who are ignorant of the Gospel and Christ's Church in such a way that it is "not their fault" that they have not heard are not guilty of their sins and we can safely presume that will go on to heaven, saved, as it were, by their ignorance." 1) Supernatural faith (without which original and perhaps personal mortal sins are not forgiven), 2) the Ignorance by which a possible Supernatural faith would be subjectively such despite objectively defective by standards of faith. 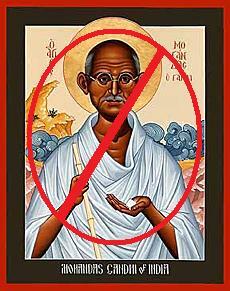 According to St Thomas, if Gandhi heard Catholics and rejected their teaching, he must either have been a very stupid and untalented man (I don't think his admirers will admit that) or have gone to Hell. With C. S. Lewis, at least he did not reject all of it. Still ... 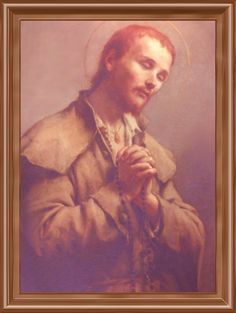 I would not canonise him, but I prayed for his soul one of the first indulgences I tried to win after conversion. "all religions lead to God"
All religions have elements leading to the true one and therefore also to God (or to God in the immediate and therefore also to the true one). That was the reason why Nicolas of Cusa argued that those who did not reach the true religion before the end of their life on Earth would have been too inattentive about truth, too indifferent about their salvation to go to Heaven, to not be in a state of mortal sin when dying.
" 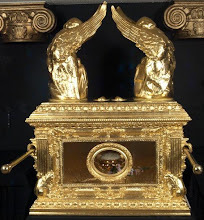 Should we or should we not canonize those who scarcely even heard the Name Jesus Christ, yet when pressed, choose to die for Him even on the testimony of heretics or schismatics?" I heard of a German cobbler who was Lutheran but died along with Catholics who were being killed by Turks, and who was canonised. That is the news which gave me some hope Cassie Bernall can have made it too. Both the cobbler (conditions of life) and Cassie (shortness of time between Christian conversion and death) might have excuses for not knowing the part of faith which is The Church correctly.